In one of the previous posts I've mentioned that we had surprisingly little to do on the car despite it's high mileage... What I really meant to say was "I had surprisingly little to do". There was a coolant hard line that ran between the engine block and the intake manifold that looked very rusty and in dire need of replacement. My buddy took the liberty of ordering a new one from Subaru and replacing it when he had some spare time at the shop. 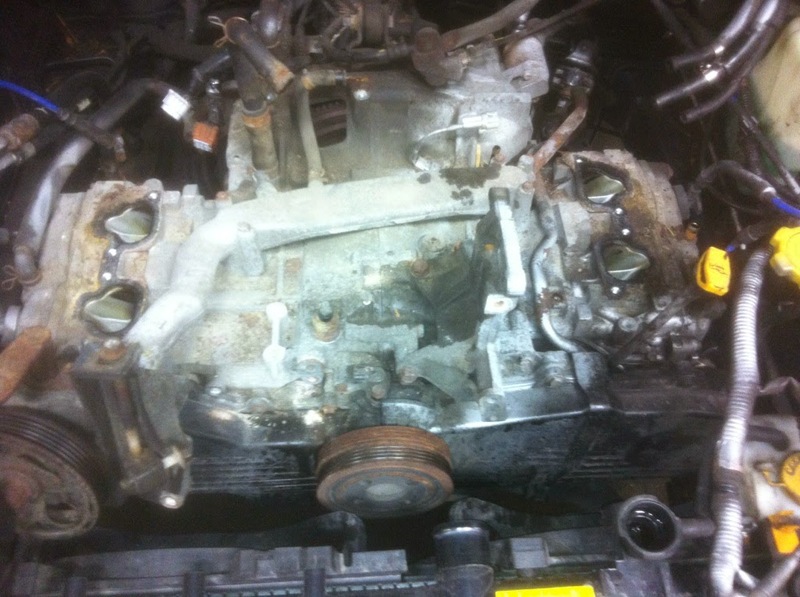 The job involved, among other things removing the intake manifold, and generally clearing out the engine bay of pretty much everything save for the motor block itself!